Can you believe it’s that time again?! Our first cohort of this years graduate training programme have joined us here at Para-Sols and are raring to go. 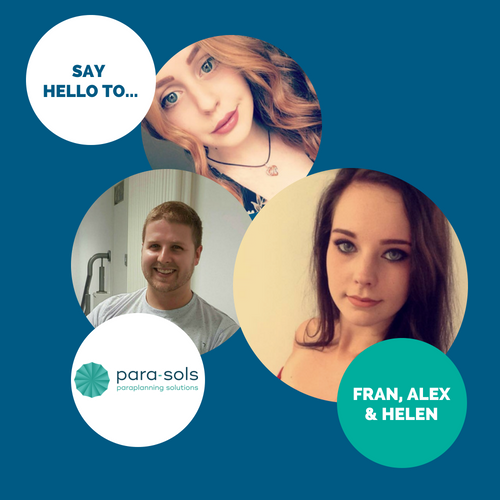 Our assessment day, in April, saw us welcome 12 grads who were all hoping to join the crew and three of them blew us away with their personalities… on that note, let us introduce Fran, Alex and Helen! After joining us only last week, they have already made their mark in the office and settled in as well as we had predicted. Below, we have the usual first impressions and some interesting information about each of them. If you’re prepared for a bit of a giggle and the opportunity to get to know our grads better, then have a read through. Learn more about them on the Para-Sols Meet the Team page.